CORNER UNIT CLOSE TO POOL! A Must See!! 2 bedroom 2 bathroom condo in quiet neighborhood. Note gorgeous landscaping when you enter and all the guest parking so close to the unit and --- how close you are to the pool!! Large open living room w/vaulted ceilings and eye catching gas fireplace. Spacious dining room is open to kitchen with door leading to an outdoor private-cozy patio with mature landscaping - perfect for dining outside on a cool summer night or enjoying your morning cup of coffee. Kitchen has an open airy feel featuring a dishwasher, electric range and built-in microwave. Laundry room with plenty of elbow room. Guest bath has tub/shower combo with lots of counter space. Master bedroom w/walk-in closet, step-in shower, plus door leading to your own fully fenced private patio with beautiful mature plants. Home features dual pane windows, newer flooring throughout and charm galore. Please do not forget to take a look at the spacious detached 2 car garage with a ceiling fan and built-in shelves for plenty of storage. This condo is a must see!!! Association monthly dues include water, roof, siding, and front landscaping services. We respect your online privacy and will never spam you. By submitting this form with your telephone number you are consenting for Leif Peterson to contact you even if your name is on a Federal or State "Do not call List". Based on information from California Regional Multiple Listing Service, Inc. as of 3/16/15 10:46 PM PDT. This information is for your personal, non-commercial use and may not be used for any purpose other than to identify prospective properties you may be interested in purchasing. Display of MLS data is usually deemed reliable but is NOT guaranteed accurate by the MLS. Buyers are responsible for verifying the accuracy of all information and should investigate the data themselves or retain appropriate professionals. Information from sources other than the Listing Agent may have been included in the MLS data. Unless otherwise specified in writing, Broker/Agent has not and will not verify any information obtained from other sources. The Broker/Agent providing the information contained herein may or may not have been the Listing and/or Selling Agent. This IDX solution is (c) Diverse Solutions 2015. 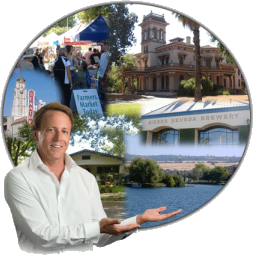 To schedule to see a property call us at: (530) 321-1469.